It was a pleasure for us to interview Prof. Jesús Usón Gargallo, founder and scientific director of the Center for Minimally Invasive Surgery "Jesús Usón" (CCMIJU) Cáceres. Jesús Usón Gargallo (Quinto de Ebro, Zaragoza, 1947) has a PhD in Biology from the University of Zaragoza (1975). He has been an assistant professor, an acting assistant professor, an associate professor and an interim tenured associate professor of the Department of Surgery, Obstetrics and Pathology of Reproduction, at the University of Zaragoza, where he discovered a connection between human and veterinary medicine, created a school for experimental surgery, and worked in the Urology Unit of Miguel Servet Hospital. 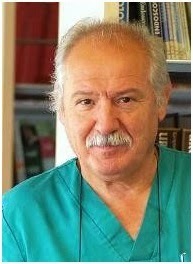 He was the Director of the School of Animal Surgery at the Experimental Institute of Surgery and Reproduction, at the University of Zaragoza, from 1980 to 1986; Scientific Director of the Center for Minimally Invasive Surgery (CCMIJU) until 2007 and, from 2007 until August 2012, has been the Scientific Director of the Jesus Usón Foundation for Minimally Invasive Surgery (CCMIJU). Has been awarded with thirty eight research related awards, including that of the Spanish Society of Microsurgery in 1990, and the Science in Education Award in 2002. He has been honored with the Gold Medal of Extremadura (1995), the Gold Medal for Merit in Work (2007), the Cross of Alfonso X the Wise (2008), and the National Research Award from the Provincial Council of Zamora on Minimally Invasive Surgery via Laparoscopic Surgery. Also, he learned the Clinical and Experimental Research and Albéitar Award (2009) from the Andalusian Council of Official Veterinarians, in recognition of individuals and institutions for the development and improvement of the practice of the veterinary profession (2012) among others. Although it’s been two years since I left the post of Scientific Director to become the President of the Center for Minimally Invasive Surgery, I'm still spending an average of 10 hours a day, including weekends. I had many difficulties. On the one hand, due to envy and on the other, due to administrative and economic barriers. In Spain it is difficult for people who are really interested in a project, but in my case, the involvement of Mr. Juan Carlos Rodríguez Ibarra, former President of the Extremadura Community, paved the way and has allowed the Center which I chair to be a globally recognized institution today. The experience that the years have given me allows me to see things from another point of view: there could have been more successes and less errors. But this is only learned over time. ARJ: Do you consider you spent your time in the best way? In other words, do you have a global time management plan? I have spent my time in the best way I've known how. In an effort to optimize as much as possible, I created an annual program, that is 4 years away, to stipulate a comprehensive and accurate view of each activity that I would dedicate my efforts to. This global plan is established in all units of the CCMIJU and under this plan we will develop our strategy. I plan my work based on the daily and monthly agendas, starting early in the morning. I set my priorities once I have analyzed the monthly schedule of various projects: studying milestones to be developed, objectives that must be met, and deadlines. Yes, in fact. Sometimes there were situations where it was necessary to prioritize and this ruined part of the project schedule. Factors attack you when you least expect it, and must be solved by stopping the established plan for a while. No, I do not know if there is anything specifically applicable to research. Yes, of course. Everything can be improved. But I am content at least with managing my time consistently, the best way I know. ARJ: Have you ever applied these techniques in your day-to-day? Except keeping a good agenda, being thorough and methodical in everything I do and leaving the least possible space for improvisation- which I consider the threshold of failure- no, I don’t apply other methods.